Then you can join. That’s it! The Air Cadet experience is open to everyone, so whatever your nationality, background or ability, whether you’re male or female, you can join us. It’s important to know that we are not a recruiting organisation for the RAF, but if you’re thinking about a Service career, cadet membership will put you ahead of the competition. Many cadets go on to great success in all 3 armed services. 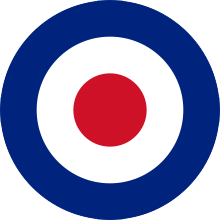 Around 40% of Officers and 50% of all Aircrew in the RAF are ex-cadets. Whatever you do with your life, at the end of your time as a cadet you’ll be self-motivated, confident and ready for anything! We have high standards to maintain as we are a ‘military’ youth organisation and you’ll naturally take pride in your uniform and appearance. You’ll be well mannered and self-disciplined. You’ll be joining an organisation of which you’ll be very proud. If you don’t fit into that age group and still want to enjoy all of our activities and more, you could join as an adult volunteer. Please contact us to find out more information.